Bachelor of Science in Nursing or B.Sc. Nursing is an under-graduation degree awarded to students for a 4-year course in Nursing, which provides a comprehensive foundation to clinical practice to students opting for a career in nursing. The Indian Nursing Council (INC) is the apex regulatory body for the entire gamut of nursing courses available in India, under whose strict watch exams are conducted; results declared within a time frame; and degrees awarded to students. The admission to B.Sc. Nursing course depends upon the marks scored in the Entrance Exam conducted by the respected university or college. Mantram Nursing Academy helps you trigger your preparations by providing you Best B.Sc Nursing Entrance Coaching in Chandigarh. Some of the top-rung nursing colleges/universities/institutes as are conducting exams for Entrance to B.Sc. Nursing include PGIMER/PGI, AIIMS, JIPMER, HNBUMU, MNS, BHU, IGMC Shimla, GMCH-32 Chandigarh, BFUHS-Baba Farid University Punjab, HPU-Himachal Pradesh University and Pt B.D. Sharma University Rohtak, et al. 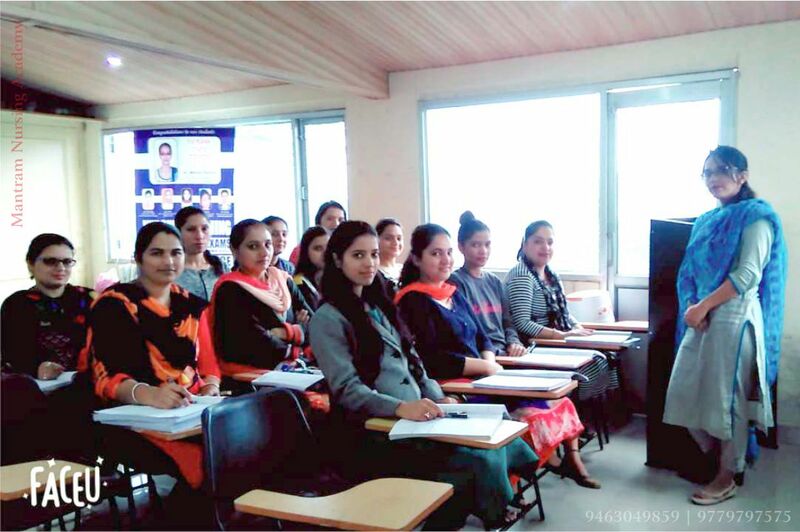 Exams for the award of 4-year degree course are conducted in the months of June and July, every year, as per their prescribed norms and the results thereof are declared within a month or so.